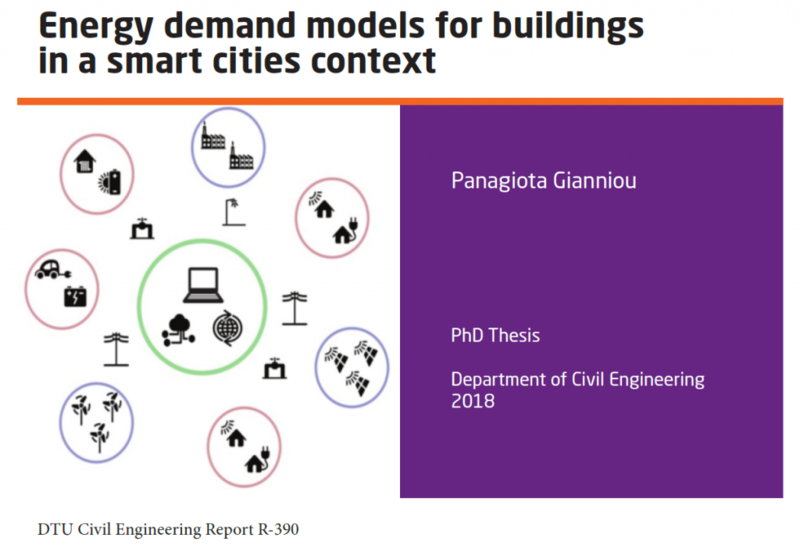 Panagiota Gianniou will defend her PhD thesis on Energy demand models for buildings in a smart cities context. The PhD-study has been carried out as a CITIES Work Package 3 activity (WP3: Intelligent Energy System Integration) in collaboration with WP1 Energy Services and Demand. The defense will take place at DTU’s Lyngby Campus, Building 101, Meeting Room 1. Everyone is welcome to participate in the event! The PhD-defense will be an element in a CITIES event on the day of the defense. The day starts with a seminar on Building Simulation and Energy Flexible Buildings in a smart cities context. Click here for the program of the day, which includes an abstract of the PhD thesis. More information regarding the seminar can be found here.